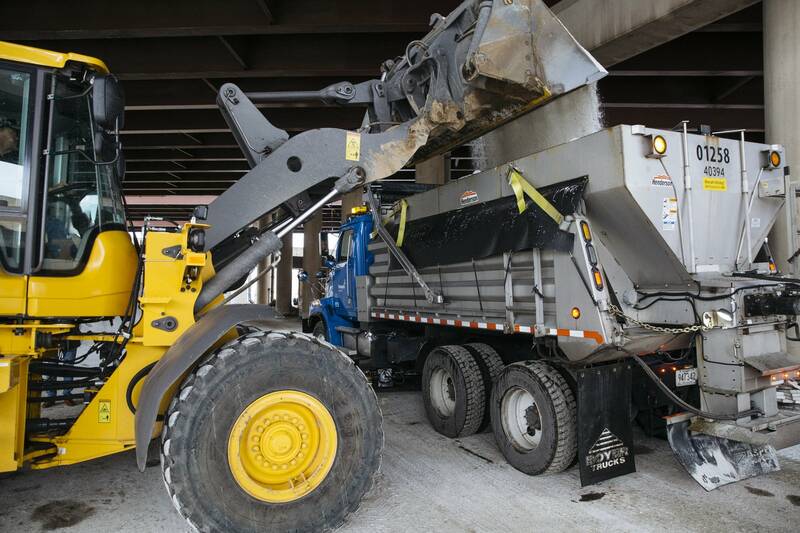 Virtually everyone agrees road salt is a necessary part of Minnesota's economy in winter. It keeps us safe and allows us to get to work. But scientists say also say that salt is a worrisome pollutant. Heavy road salt use over the past 20 years is causing many lakes in the metro area to show chloride levels that are dangerous to aquatic life. Statewide, 21 lakes, 22 streams and four wetlands have "unacceptable" chloride levels, according to the state Pollution Control Agency. 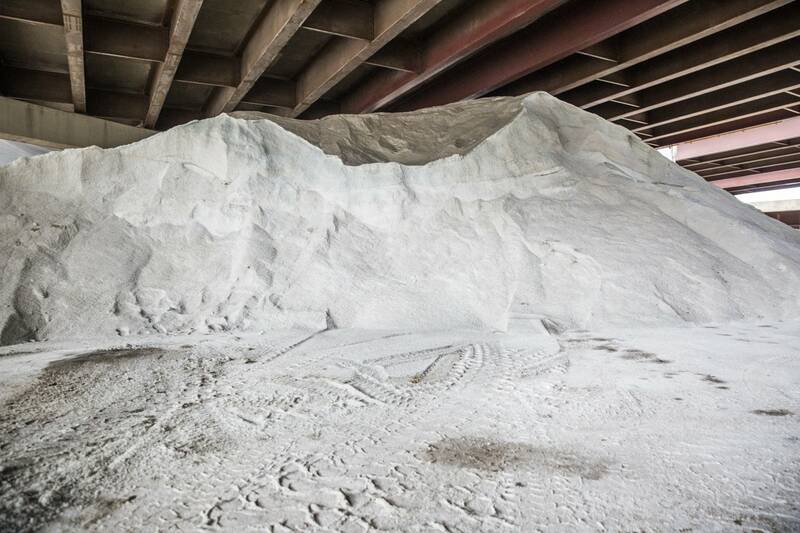 About 10 years ago, Minnesota's winter maintenance leaders set targets for the minimum amounts of salt for various weather conditions that can keep drivers safe. The state is nowhere near reaching those targets. Still, some winter maintenance crews are trying. A couple days after a recent winter storm, some Minneapolis roads were still caked with ice patches 2 to 3 inches thick in some spots. But snowplow driver Vicki Stich wasn't using her old method of attacking the icy streets with a blanket of salt. She and other city plow drivers now try to be more judicious. "You don't need to do a whole street with straight salt," she said. "You can do a little bit here a little bit there and eventually it will get tracked." There's no feasible environmentally safe alternative to salt, or an affordable way to get it out of our water. So, the best solution is to be as efficient with our road salt as possible. It saves money for cities, and is easier on the environment. That's why winter maintenance consultant Connie Fortin trains crews in so-called smart salting. She has been consulting with winter maintenance crews for around two decades, making her one of the country's first crusaders against road salt. When Fortin first started teaching classes on using less salt, people thought it was "crazy" to even question the use of road salt, she said. "We heard, 'Do you want dead fish or dead people?' A lot." But there's a wide divide between roads being safe and appearing safe, Fortin said. "If you see [salt] on a dry pavement, that's a really good indication that you overdid it. And we see that all over the place in Minnesota still." Fortin doesn't feel like she's the only one worrying about salt use anymore, she still sees a lot of nervous plow drivers in her classes. They say their bosses and many in the public insist on absolutely clear pavement. "We've always been told that safety supersedes everything," plow driver Kevin Eggleston said at a recent class Fortin taught. "When we start looking at it like this, we're trying to figure out how to keep the cars from spinning out and everything else. So, we're kind of caught in the middle of this." Fortin tells drivers there are many strategies for keeping roads safe and use less salt. They can spray brines that contain more water than salt. Or use sand or other chemicals. But there's a problem: Many alternatives to salt also have environmental impacts, and it can cost cities a lot of money to adopt new technology. Mike Kennedy, who leads winter maintenance for the city of Minneapolis, said it's tricky balancing safety, cost and the environment. Tip the scale toward one need, and it throws the other two off, he said. Still, Minneapolis is seeing progress, albeit slow, in cutting down on salt use. "When I started doing this 20-something years ago, I do remember we were buying something like and using something like 20,000 tons of salt per year in the city of Minneapolis," Kennedy said. "These days we're down to 12, 13, 15,000 tons." • Questions? What do you want MPR News to investigate about road salt? This is the second in an occasional series of articles on road salt's effects on the environment as part of The Water Main, our new initiative that aims to bring people together, move conversations forward and create meaningful connections that help sustain clean, abundant water for all. Max Nesterak is an associate producer for Morning Edition on MPR News.